A Norwegian couple whose five children who were seized by the country’s child welfare services last November have now been reunited with their infant son. “Baby Ezekiel has been returned to his parents! 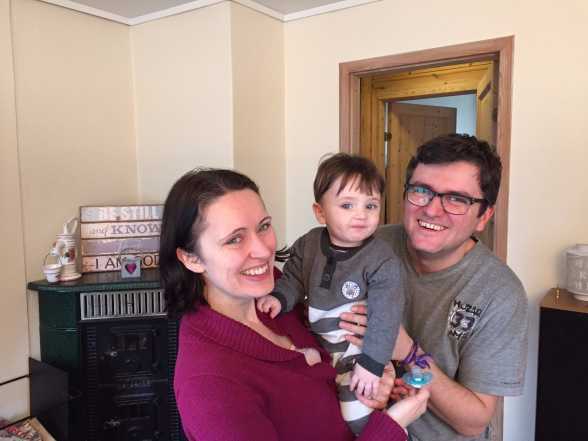 Praise the Lord!” wrote Cristian Ionescu, a Chicago-area pastor who is serving as a spokesperson for the Bodnariu family. During the course of the case, the discussion turned to abuse allegations as Barnevernet expressed concern that the children might have been spanked, which is illegal in Norway. The grandparents of the children, who have lived with the family at times, have rejected the allegations completely. The family has been fighting for the past five months for the return of the children, and this week, a judge sided with the Bodnariu’s that baby Ezekiel should be with this parents. “[The] judge partially ruled in support of the Bodnariu family: the custody decision for Ezekiel has been reversed! The judge instructed that Baby Ezekiel should go to be home with his biological parents!” Ionescu announced on Tuesday. The Bodnarius will continue to seek the return of their four other children as protests continue in various locations throughout the globe.